Regular dental visits are just as important for healthy teeth and gums as daily brushing and flossing. Not only will these visits reduce the amount of hidden or hard to reach bacterial plaque (the main source of dental disease), but they'll also boost the chances problems with teeth and gums are caught early and treated. A lifetime habit of dental visits should begin around your child's first birthday, but children can be stressed or even frightened by trips to the dentist. 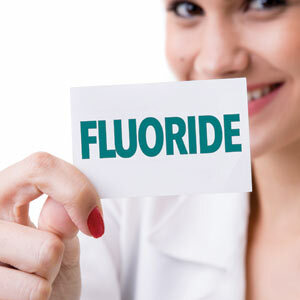 This could stick with them, causing them to avoid regular dental visits when they become adults. 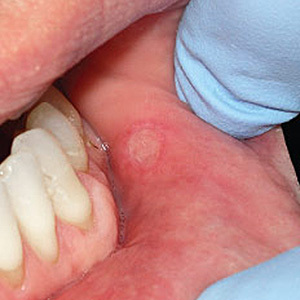 The absence of professional dental care could prove hazardous to their dental health. Here then are some things you can do to “de-stress” your child's dental visits. Begin and sustain regular visits early. By not waiting a few years after age one, your child has a better chance of viewing it and subsequent visits as a normal part of life. Choose a “kid-friendly” dentist. A pediatric dentist is trained not only for dental issues specific to children, but also in creating a comfortable environment for them. Some general dentists are also skilled with children, taking the time to talk and play with them first to ease any anxiety. Stay calm yourself. Perhaps you've discovered, often in an embarrassing fashion, that your children are watching you and taking cues on how to act and react. Be sure then to project a sense of ease and a “nothing to this” attitude, rather than nervousness or anxiety. Your child will follow your lead. Set the example. Speaking of following your lead, your children will intuitively pick up whether you're serious about your own dental health, which could influence them. So be sure you practice what you preach: daily oral hygiene, a dental-friendly diet and, of course, your own regular visits to the dentist. Your actions about your own dental care really will speak louder than words. Baby teeth perform the exact same jobs adult teeth do, only in little mouths. Without healthy teeth, a child can't eat comfortably, speak properly or smile with confidence. Given that the last baby tooth doesn't fall out until around age 12, children need to rely on these "temporary" teeth for a long time! While there often are no symptoms of early tooth decay, badly decayed baby teeth can become painful—and the problem may get worse quickly. Untreated tooth decay can lead to suffering and expense that could have been avoided with relatively simply dental treatment. Baby teeth help guide adult teeth into the right position. Each baby tooth helps hold the right amount of space open for the next tooth that will grow in. 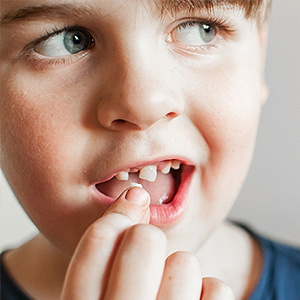 When a baby tooth is lost before the permanent replacement is ready to grow in, orthodontic problems can result. As you can see, good dental health has a big impact on a child's quality of life and health—in both the present and the future. That's why it's important to treat childhood dental disease and injuries promptly and properly. Regular dental exams are the best way to keep on top of your child's dental health. If a cavity is discovered at a routine exam, prompt treatment can keep the decay from spreading to the root canals. If your child plays sports, ask us about a custom-made mouthguard. This small device can protect your child's teeth from serious injury. And if a baby tooth does get knocked out, let us know. It may be best to fit your child with a very small dental device called a space maintainer, which will hold that empty space open until the permanent tooth beneath it grows in. Seek balance. Foods that stick to your teeth like candy canes, chewy candies or potato chips provide more opportunity for cavities to develop. To help keep your smile sparkling for the New Year, mix it up with healthy options. Chances are you will come across tooth-healthy offerings like raw vegetables, a cheese plate or mixed nuts. Vegetables scrub your teeth while you chew and stimulate the production of saliva, which helps neutralize acid and rebuild tooth enamel. Cheese also neutralizes acid in the mouth and has minerals that strengthen teeth, while nuts stimulate saliva production and provide vitamins and minerals that keep teeth strong and healthy. Consider your timing. There’s a higher risk of developing tooth decay when sweets are consumed as standalone snacks, so when you do eat sugary treats, try to have them at mealtime. Repeated snacking between meals exposes teeth to food particles throughout the day, and the acids produced can continue to act on your teeth for 20 minutes after a treat is consumed. During meals, however, other foods present help balance out the sugar and stimulate saliva production, which helps neutralize acid and wash away food particles, sugar and acid from your teeth. Watch what you drink. Sipping sweet drinks over time can have ill effects on your teeth because of prolonged contact with sugar. If you consume sugary beverages, try to do so in moderation and preferably along with a meal. Sipping your drink through a straw can help keep the beverage away from direct contact with your teeth. Consider opting for water—there are plenty of other opportunities for extra sugar and calories! Besides, water washes away food bits and dilutes acidity. After eating the sweet stuff, it’s a good idea to drink water or at the very least swish a little water around in your mouth. Keep up good oral hygiene. With all the holiday busyness—shopping, gatherings with friends and family, school functions—you may find yourself exhausted at the end of the day. Still, this is an especially important time to keep up your oral hygiene routine. Brushing your teeth with fluoride toothpaste morning and night and flossing every day are key to keeping your teeth for the long haul.